It’s that time of the year again - reunion dinners, red packets, and relatives (some you only meet once a year!). All telltale signs of the Lunar New Year. While red might be the colour most associated with Chinese New Year, when it comes to fruits, the star has always been orange in colour. More specifically, Citrus reticulata, better known as the mandarin orange, has always been the staple fruit associated with the celebration. But why are mandarin oranges so sought after during Chinese New Year? Is there more to this connection than just its name? Unsurprisingly, there’s a deeper meaning as to why the Chinese favour this fruit amongst others. Mandarin oranges have always been considered as a traditional symbol of good fortune. This is mainly because the word orange, when spoken in mandarin, sounds similar to the word “wealth”. The orange hue of the fruit is also said to symbolise “gold”, which makes it a very auspicious fruit. Giving mandarin oranges to loved ones during the celebration is a symbolic way of wishing someone happiness and prosperity, as you are literally giving them “wealth”. Exchanging mandarin oranges when visiting one’s house has always been a form of respect and tradition. Its auspiciousness makes it a crucial decorative item everywhere, such as homes, offices, shops, etc. Its presence acts as an invitation for good fortune to bless the inhabitants. While exchanging gifts is a good practise, the predominant point of Chinese New Year has always been to spend quality time with the people you love. To meet, to catch up, to enjoy each other’s presence. 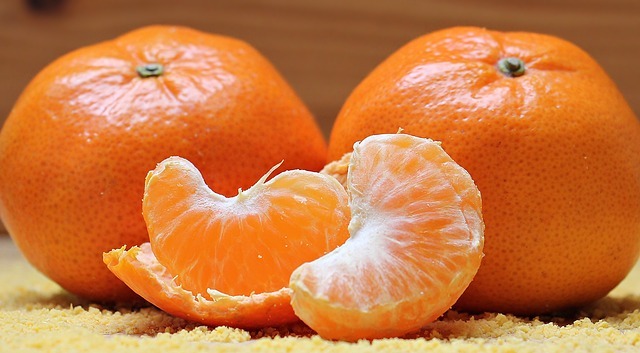 Mandarin oranges are a simple way of showing your appreciation to the people you love. To wish them happiness, just as they have brought happiness to you. Authorised by: Marketing and Future Students. Maintained by: Monash University Malaysia Webmaster Team. Last updated: 31 Jan 2019.